The Movie Magic Scholarship is an annual award presented to a UCLA Extension student in the Entertainment Studies Producing or Independent Producing certificates. The scholarship is sponsored by Movie Magic, a software program for production professionals. This scholarship provides outstanding students with a free course of their choosing within UCLA Extension Entertainment Studies valued at $699 or less to be taken within one year of receiving the scholarship. The Movie Magic Scholarship is awarded annually in the Fall. Applications are due at the start of Fall Quarter each year and must be completed online. 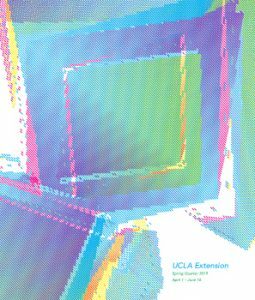 Scholarship recipients must apply scholarship funds toward enrollment in one UCLA Extension Entertainment Studies course valued at $699 or less within the four quarters following the award receipt. If the scholarship is not used within the prescribed 12-month period, it will be deemed invalid and revert back to the Movie Magic Scholarship fund.